Miscellaneous → 3 - Password System. You’ll notice there are two options : Yes! Let’s get started. Or I am not ready to switch just yet. This is your chance to hold off on switching to the enhanced password system if you’re not ready. If you do make the switch, there’s no going back! Click Yes! Let’s get started if you want to continue. There are 5 steps to migrating to the enhanced password system. to come back another time. Here you will identify and select the Administrator of the Enhanced Password System. temporary password you’ll receive in an email. This is your first login with administrator credentials. Required before you can add new users. This is where you set up any new users. Frazer will close when you’ve finished this process and reopen. 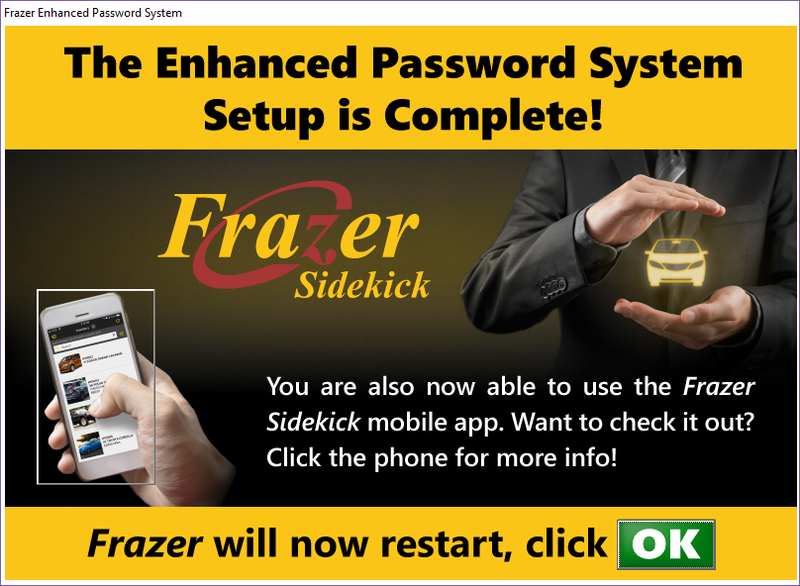 Frazer should take you through each of these steps smoothly and effortlessly. 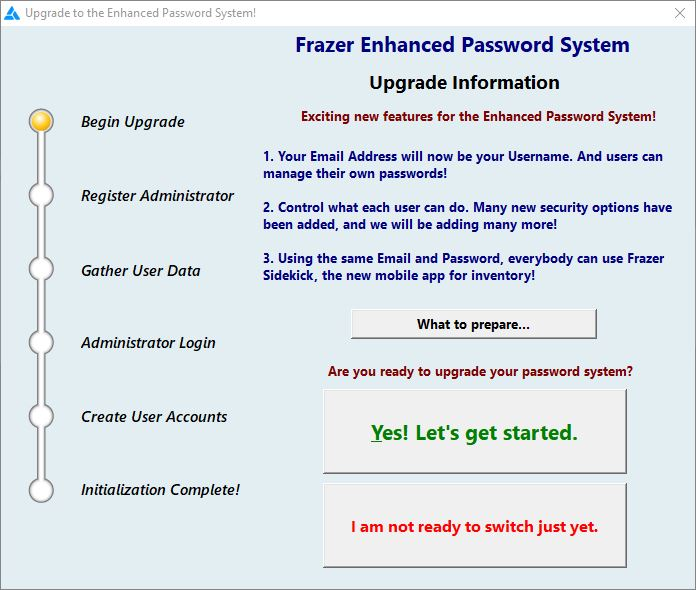 When Frazer reopens, you’ll be greeted by a new login screen. Use the admin credentials you created during setup to login. 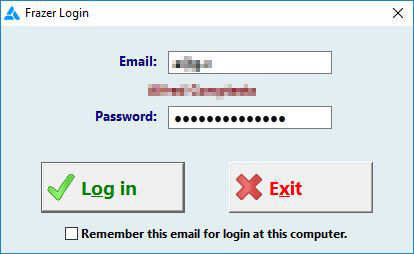 Any users that were migrated over or added will have to go through an initial login process, much like the Administrator. They’ll have an email with a temporary password waiting for them after setup. They just need to use that temporary password for their first login, and they can change their password from there. Should you have any questions about this process give us a call at 888-963-5369!